How about enjoying a splendid show at the Imperial Opera, an artfully designed, Asian-style slot machine, powered by Play’n Go? Featuring 5 reels and 20 paylines, the vibrant game benefits from Wild reels, symbol stacks, synced reels and the free spins feature, enhanced with gigantic 3x3 symbols, where you can win unlimited number of free spins. The high-variance release is playable across all platforms from $0.20 up to a ceiling of $100 per spin. Speaking of visual aspects and design, Play'n Go has done an amazing job. The reels are set against a sublime concert hall background, while green, red and gold hues prevail on the screen. The main symbols on the reel set include three flamboyant characters from a traditional Asian opera. You will also come across a beautiful Princess that assumes the role of Wild and awards 25x your bet for five of them on a single line. Regular playing card symbols like A, Q, K, J and 10 make up the lower value icons on the grid. Before you decide to enter the magnificent opera house and enjoy the artistic performance, we would advise you to select your stake. By pressing different values on the Quick Betting panel you can choose your bet from a range between $0.20 and $100 per spin. The Autoplay option is also available and will spin the reels without interruption for a chosen number of times. Finally, the green Spin button is located right next to the Autoplay feature and it will set the reels in motion. Imperial Opera benefits from four randomly triggered mini-features, including Harmony where 2 or 3 adjacent reels lock together in order to help you form a winning combo. Crescendo, on the other hand, turns 1 or 2 reels completely Wild, whereas Showcase randomly selects one symbol that will appear stacked. The latter will also be active during the free spins feature. Free Spins can be activated with the help of the Harmony feature if a large, 3x3 Free Spins Scatter lands in full view. You will then be awarded 10 free games, however, it is possible to re-trigger the feature by hitting another gigantic gong Scatter. The good news is, there is no limit to the number of free spins you can win in this way. Keep in mind also that during the free spins round, the reels 2, 3 and 4 will be linked together, containing matching symbols, to boost your winning power. Imperial Opera video slot is a highly volatile video slot with an RTP of 96.5%, which means that you can expect cycles of many dead spins, however, once you win, there is a big chance of racking up some serious cash prizes. 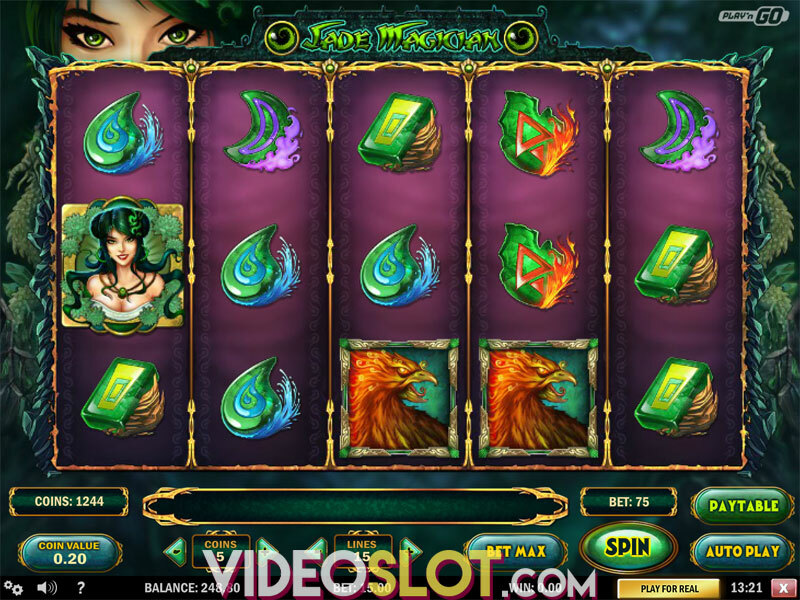 Overall, the gameplay is rather simple, though, and the key to grabbing a hefty amount is to trigger the Free Spins feature, which is the main selling point of the slot, thanks to the Showcase mini-feature that will be active on every free spin. If you are fortunate enough to have a few re-triggers as well, you could lay your hands on an amazing maximum payouts of 2,500x your bet. Where to Play Imperial Opera?